Cultural activities are centered around libraries, museums and special events. 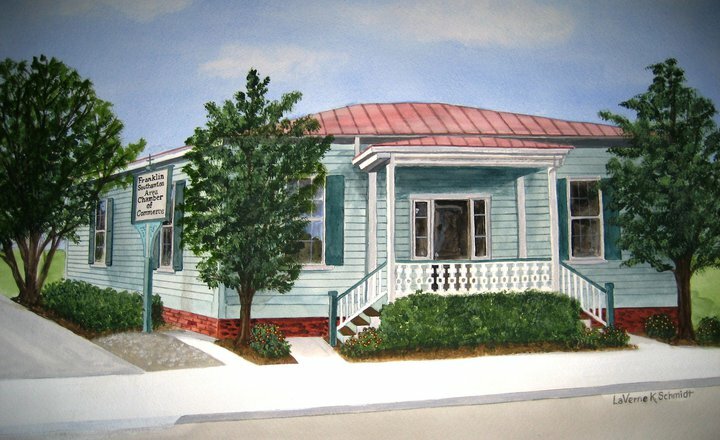 The Rawls Museum Arts in Courtland was founded in 1958 to promote the visual and performing arts in and around Southampton County. Since its founding it has been a mecca for local and regional artists to exhibit their work. RMA offers art classes in various media to children and adults and hosts speakers and guest lecturers on various art related subjects. The Blackwater Regional Library systems operate public libraries in Franklin and Courtland. In addition to books for pleasure and research, patrons can check out videos and books on tape and CD. Both libraries have computers available to the public. Programs of interest to all age groups are presented regularly. Special events such as the Community Concert Series bring nationally acclaimed artists to perform for local audiences. The Southampton Agriculture and Forestry Museum in Courtland is dedicated to preserving antique farm equipment, hand tools and rural wares used “way back then.” The museum consists of over 4,000 items, many over 200 years old. In addition to the indoor exhibits there are numerous outdoor displays. On Heritage Day each September demonstrations are held featuring some of this equipment in use. The Franklin-Southampton Community Concerts series bring notable artists who offer a wide range of musical talent.